TOEFL is one of the most popular English language tests taken all over the world. The fact that there are a few dates for taking an exam within every month as well as the lower application fee (usually lower than IELTS, Cambridge tests, or others) makes it easily accessible for everyone who is in need of gaining a language certificate. One of the most interesting things is that TOEFL reflects “the American side” of English language testing, so an applicant should be specifically familiar with the American form of English, including vocabulary and grammar, as well as specific idioms and phrases. Likewise most language exams, TOEFL consists of four parts: listening, reading, writing and speaking. Every part has a concrete goal, but the main goal of the exam in general is to test your skills to deal with the language freely and without serious limitations, thus being able to communicate and express your thoughts and opinions in various environments. Here you will find some useful instructions on how to prepare yourself and how to write an essay for TOEFL. It may seem strange, but this preparation will help you a lot. You need to wake up early in the morning and imagine that you are taking an exam at this period of time. Most exams start at 8 AM or 9 AM (there are some exceptions, of course), so you should test your listening, reading, speaking and writing skills at the same time (at home). You need to start doing this at least a weak prior to the exam. Speaking about adaptation, be ready to be distracted during the exam by the applicants who are doing their speaking part. If possible, choose to take TOEFL at places where less people will come (small towns, for instance). Even if you have excellent English speaking and writing skills, a training course would be highly recommended. This is so because the atmosphere of the course is similar to the conditions under which you are going to take the exam. The only difference is that you will visit the course with a group and that some attendees will be well behind you. The course will help you overcome your distress and worries. In case your English is not that good, the course will help you remember the basics of the English grammar as well as some vocabulary. Start reading fiction books in English at least three or four months before taking the exam. You will learn plenty of useful words. Watching documentaries will also help you. For the academic part of the essay you will need to be familiar with terminology, thus it would be better if you read some academic articles. The academic part includes reading a short passage about an academic topic, and listening to a discussion on the same topic. Thus, you will need to develop both your reading with comprehension as well as listening skills. At any rate, you must extend your vocabulary and grammar knowledge. The second part of the writing part revolves around an essay on a given topic. A TOEFL essay is not that different from essays that you used to write in high-school. It is important to write in a logical way and to express your thoughts clearly. The best way to do it is to reflect on the topic deeply (around 5 minutes) and then write a short outline of your thesis and arguments (in order not to forget them). You can write a draft before starting the essay. Keep in mind that you have 50 minutes at most to take the writing part. As we have already stated, the most important thing concerning writing an essay for TOEFL is preparation. Make sure to practice English grammar and vocabulary and that you are well-prepared in a psychological sense. A holistic approach (meaning, putting stress on all parts equally) to the exam will make you succeed in writing a TOEFL essay. Practicing English grammar and vocabulary and being well-prepared in a psychological sense are a key to success in writing a TOEFL essay. 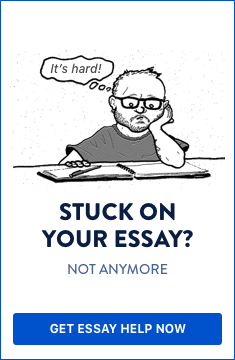 Do you need help with writing a TOEFL essay?